It’s been a very contemplative week for me, a lot of deep thinking and it’s all due to the power of the positive. I’ve had the benefit of watching Oprah’s Lifeclass Tour which began just last week and I’ve found it to be a huge opportunity for expanding my own personal growth. I don’t think anyone is ever really done when it comes to expanding your awareness. I definitely don’t think that I have things all figured out and I absolutely love that Oprah is putting on this tour and broadcasting it worldwide. I am so excited to see positive thinking and personal empowerment being spread on such a global scale. The opportunities we can all create for ourselves have no limits and this tour is a huge reminder of that as well as an opportunity for anyone looking to experience personal growth, empowerment, awareness, motivation and inspiration. So far there have only been 2 shows of this tour televised and it has already amplified my own thirst for personal growth and empowerment. It has helped me to continue to remind myself that what I want to project outward at all times is a healthy and positive attitude and that no matter who or what the circumstance is I am going to be strong and not allow anything to interrupt or change that in any way. If something is bothering or interrupting my personal flow of life I find that the best thing I can do is try to find the ultimate reason behind it, look for the positive lesson. Sure, I could shrug my shoulders, give in and scream out “what’s the point of this?” or say “it’s not my fault, it’s theirs”, but for me I don’t see any benefit in doing that ever! It doesn’t solve anything, it doesn’t make you feel any better and it certainly doesn’t change things. So if you’re going to say “what’s the point of this?” make sure that question is directed to “what’s the point of me giving this any energy?”. 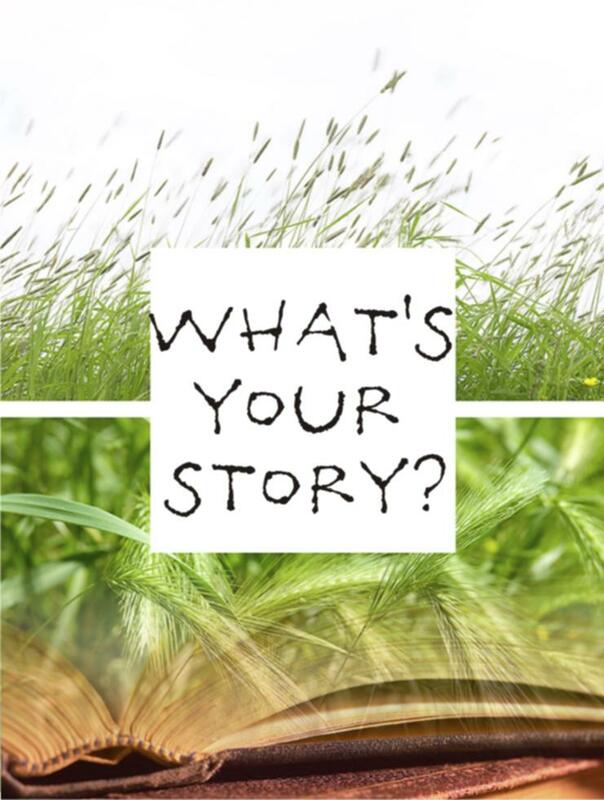 One of the key things on the first show that I believe to be a very significant factor in a lot of people’s lives is “what story are you telling?”. If the reasons you aren’t succeeding or moving forward are because of a difficulty you’ve experienced in your life ( in your past ) then you need to stop telling that story. It’s something that has caused you pain but by continuing to use that as your story (your excuse) you are the one holding yourself back from being all that you are meant to be. When you continue to re-tell your story of the obstacles that have prevented you from having the life that you wanted, you are reinforcing that story and giving it more energy to grow and become an even bigger obstacle. Close off the old story – “Life was tough before now, some of it was very painful, but now I’m going to take charge and I’m going to change it, it’s going to get better. It’s going to be the life that I want and that I was meant to live”. You need to re-write that story to suit you better to who you are now and who you want to become. A good beginning, that I have used, is to simply change my perspective and attitude, it doesn’t cost a thing. Maybe at first you may not see the changes and it’s not because they aren’t there but it does take some time to learn how to recognize your newfound awareness but it won’t be long before you are able to fully embrace it and begin to move forward. Start your new story now, don’t wait, don’t leave it for another day. If inspiration, motivation or both strike you, then you need to strike back while the iron is hot. I know you are totally worth it to re-write your new story, one that is more positive and of more benefit to the direction you want to see your life go. 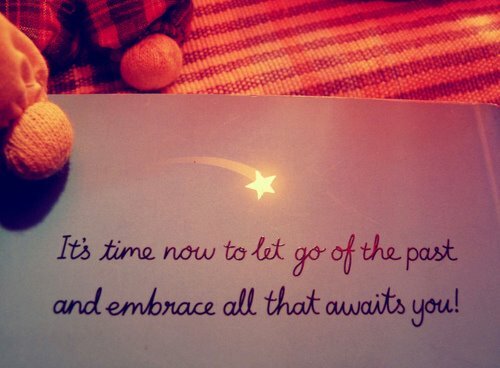 The only way to grasp a new way of life is to let go of the old one. The best way to be true to yourself is to live your life authentically. Be defined only by what you say and what you do. Everyone has an opinion and ideas but when either of those don’t align with how you feel then you don’t need to accept it, it’s just one of the many differences that makes each of us individuals. When you are living your authentic life you are not likely to have any regrets later because you are being true to your inner spirit, it’s that inner spirit that holds all your wishes, desires and dreams. If you allow those whispers into your consciousness then you will be helping yourself to get onto the path you were meant to be on. 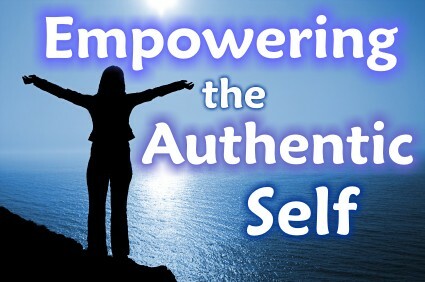 Everything we dream of and envision, as individuals, of being the ultimate life is tied to our authentic selves. It’s only when you listen and follow those whispers that you will find contentment, peace and balance. What is perceived as the ultimate life for one person won’t always be the ultimate life for everyone. In order to maintain living your authentic life you can’t allow anyone else’s ideas or opinions to alter or impede being true to yourself. Don’t think of anything as being unattainable or impossible to reach. You can reach and achieve whatever you want out of your life, there’s no such thing as impossible. 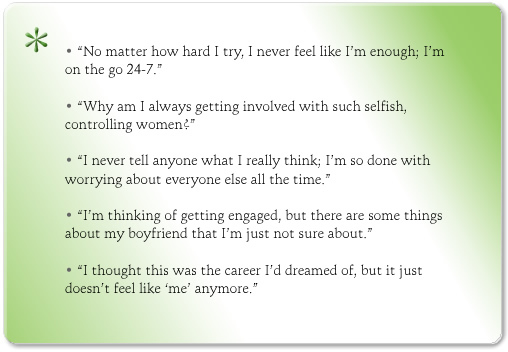 If you can identify with any of these fears then what restricts you comes from within and will require reflection and honesty about what is really preventing you from living your authentic life. Once you are able to identify the source of your fears you then have the opportunity to overcome them so you can begin to live your own charmed life.